It’s been quite a while since I wrote about a perennial. It’s about time to cover another. Last time it was the blue false indigo. This time we are going to go over a foliage plant, the Canadian ginger. No this isn’t a Scottish lad who moved to Toronto. 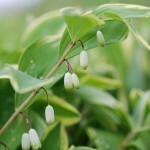 It is a native ground cover found throughout the eastern half of the United States and Canada. This is a plant that we have in the garden where I work, so I am familiar with it. My yard has finally matured to the point where I have enough shade to use this plant. So I planted a bunch this Spring and it has been doing well since. Perhaps it would do as well in your yard. Lets see. Click below to hear me say it. It has dark green heart shaped leaves that can grow up to 6 inches in diameter. It is found in moist, rich soils in the eastern forests. It is deciduous so it will die back in the winter, but it’s fresh green foliage brightens up the spring landscape. Size: 4-8 inches high. It gradually spreads out by rhizomes in the garden. Soil: Canadian ginger is easily grown in average, medium to wet, well-drained soil. It’s not a fan of drought and poor soils. It will usually limp along and live but just won’t look it’s best or spread. The more shade it gets, the drier the soil it can take. It should be watered during periods of drought. Light: Since it is a native to the deciduous forest, we can correctly assume it likes growing in the shade. It grows best in shade to part shade. The wetter the soil as well as the cooler the temperatures, the more sun it can take. It is definitely NOT a full sun plant. Flowers: Dark red flowers go pretty much unnoticed as they are at ground level and hidden by the foliage. They are attractive upon close inspection though. A close up of the Canadian ginger’s flower. Fall Color: Greenish yellow, not significant. Propagating: It is easier to divide rather than try to grow it from seed. The best time is in early spring or in the fall as they go dormant. Wildlife Value: Deer and other mammals leave it alone. 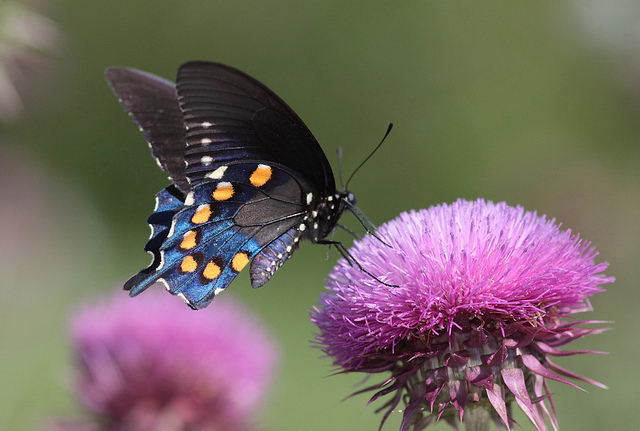 It is an alternative food source for the Pipevine swallowtail Butterfly caterpillar (Battus philenor). 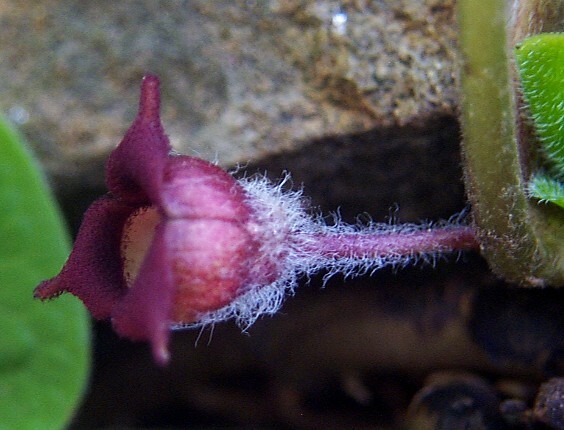 Other insects are attracted to Wild Ginger, including ants which are believed to pollinate the plant. The Pipevine Swallowtail butterfly’s caterpillar can feed on the leaves of the Canadian ginger, but they won’t eat enough for you to notice! The Canadian ginger is a great ground cover plant for gardeners with a shady spot in their garden. 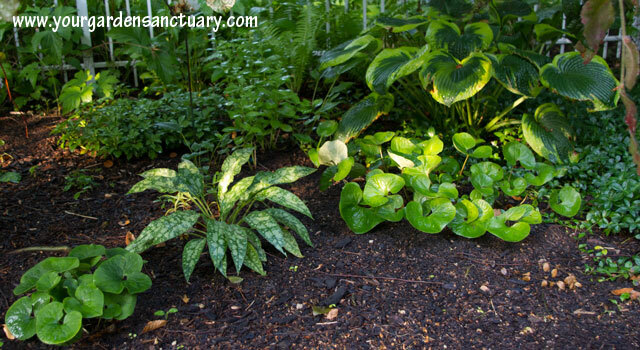 They look great with plants like Hosta and ferns. 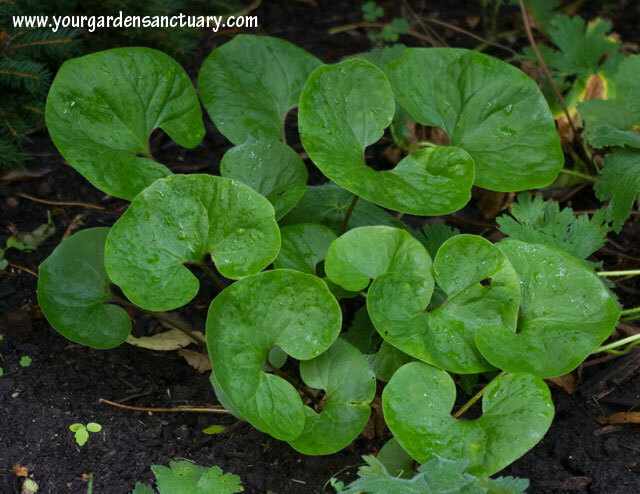 It’s leaf shape is similar to another shade plant it could look great with, the Jack frost Brunnera. 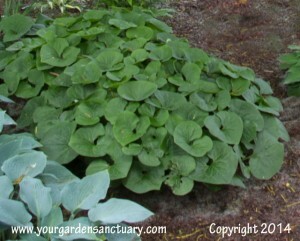 Canadian ginger works well with other shade plants. It’s fresh green foliage starts to grow in early spring. It covers the ground with a living mulch probably just about the same time you are getting out into the garden more. It works well to cover native woodland spring ephemeral such as Trilliums just as they are done flowering. They work just as well with early small bulbs such as Crocus or the wonderful Glory of Snow (Chionodoxa luciliae). It’s attractive throughout the season. Deer avoid it and it grows fine under Black Walnut trees. It does not have any serious pests and supports native wildlife. 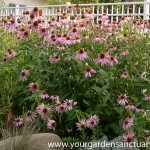 The only care required is watering a bit during periods of drought and raking away the old foliage in fall or late winter before the new foliage emerges. Verdict: Canadian ginger looks like a winner if you have a shady spot with decent soil. If you have a full sun or real dry soil, I would pass on this one. It is a great plant for the shade gardener that wants an attractive textured deciduous ground cover that will gradually fill a space in a polite and never weedy manner. I’m lucky to have these growing in my shade garden on their own. I love them! The ones around here – central NC – have some sort of silvery white markings on the leaf. Very cool. Just found you web site to day. I see you posted photo of Canadian Ginger plant. I have many of them in my garden. 20 some years ago, I bought 1 of this plant because i like the shape, the rich deep green of it leaf and saddle wood scent, but I count not get it to grow out in size. I bought one more and plant next to the first one; then next spring around late June I founded a few 2 littler pointed tip leaves (not round like the mother leaf) plant near the ginger plants. In Saskatchewan garden centre label them as European Ginger, ??? I am happy that you list as Canadian Ginger. Hello Jim, I live in Northwest Ohio and I am looking for plants that I can plant in a wooded area or under pine trees. I love the look of the Canadian Ginger ,could you tell me where the best place is to get a starter of this or if there is someone who would do a plant swap . 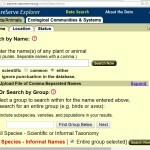 I would search for native plant sales in your area. 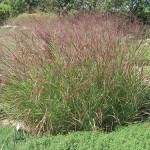 You can also find this at some nurseries if they have large groundcover selections.